Sick of feeling overwhelmed by your finances? You’re not alone. Money issues are some of the biggest causes of stress for people all around the world. The good news is that you can make yourself feel less stressed by merely making a few changes to your daily habits. Embracing the power of budgeting and looking for better ways to manage your money might not seem like a fun way to spend your afternoons. However, you’ll find that the better you get at budgeting, the happier and simpler your life becomes. Here are 5 budgeting tips that are often overlooked, which could help you to transform your spending habits. Are you the kind of person who waits until your car completely breaks down before you’ll take it to the garage? A lot of people assume that the best way to save money is to ignore problems until they become too big to overlook. However, the truth is that you can save a lot of money by taking simple preventative maintenance steps instead. Taking your car for a regular maintenance checkup every once in a while will mean that you have to pay more in the short-term, but it could also mean that you avoid having to buy a brand-new vehicle for a number of years. It’s safe to say that there are some things in your home and life that you won’t be able to do or fix yourself. For instance, you can’t set a broken leg on your own, or pull a tooth without the help of a dentist (or at least you shouldn’t). However, there are a lot of things that you can do for yourself to make your life a lot cheaper. For instance, consider cooking your own food and taking it to work instead of paying for a lunch on-the-go. Try doing some general household jobs, like repainting your home, or putting up shelves without asking for assistance. There are plenty of videos and guides online that can teach you to do a range of things without paying for professional help. Sometimes, when you’re struggling to make ends meet, it can seem difficult to find some extra cash in your budget that you can pay to yourself so that you can go out with your friends one night or see a movie. However, budgeting isn’t just about cutting expenses so that you can manage the bills with ease and have an emergency fund. You also need to find some cash for the fun things in life. When you start cutting things out of your budget and switching to different brands to save money on your utilities payment, and you discover that you have a little cash left over at the end of the month, don’t be afraid to spend it on yourself sometimes. Save some money for the long term but give yourself a little freedom too. Another thing to keep in mind is that when you do start saving money aside, it should generally be for an “emergency fund” before you start working on your goals. Although it’s tempting to buy the things you want first, rather than spending cash on a potential safety net, your emergency fund will be incredibly valuable later down the line. If you end up having to pay for a sudden hospital fee or deal with the costs of losing your job, then you’ll appreciate having that emergency budget there to tap into. Of course, you could rely on forms of credit to tide you over but having your own money to use for situations like this is most definitely preferable. Remember, emergency funds don’t have to start big, they can begin with just 5% of your income every month placed into a separate part of your bank account. Finally, remember that things can change in your life, so they should also be able to change in your budget too. 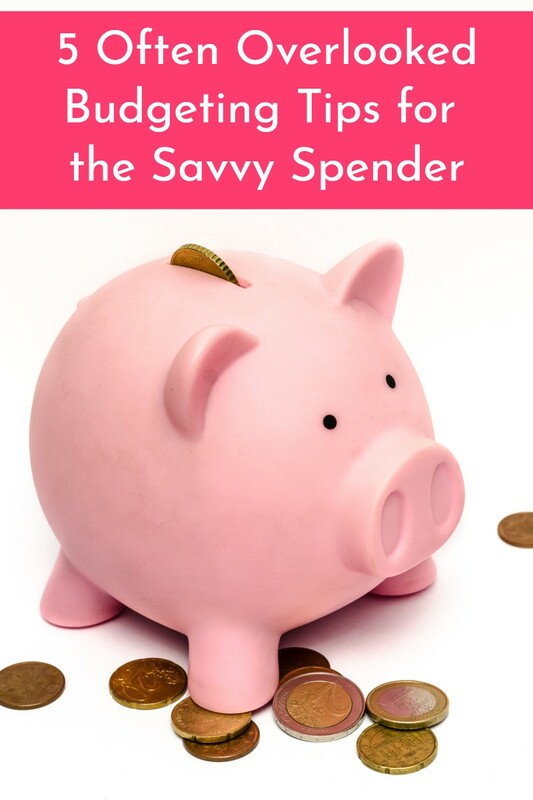 If you decide that you want to spend your money differently or move categories around one month, then you should be free to look at your spending habits and make some alterations. Just make sure that you’re still saving enough cash aside for your bills and your savings at the end of the day. Additionally, keep coming back to your budget once every few months, to check whether it’s still suitable for your lifestyle. You never know when your goals might change, or your income may shift up and down. Make sure you’re ready to adjust your budget when necessary. It’s so important to have an emergency fund and not be caught off guard financial if the unexpected pops up. Something unexpected always happens! I take my car in every 3 months to get an oil change and have it inspected. So far so good: I’ve had my car for 15 years. I do surveys and we frequently sell things we no longer need to make some extra cash every month.